Reso - Pulse Code E.P. Vinyl Digital Exclusive: Limited Edition of 200 Copies on special designed Flexi-Disc Postcard! 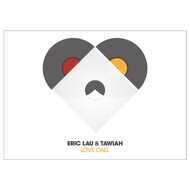 Includes Digital Download Code for the Full EP of Eric Lau & Tawiah! A nice collabo of Northern Shore, Vinyl Digital & Kilawatt!